“Ricardo knows that my Spanish isn’t good, but I don’t need to say a lot. All I want to say is that I love you with all my heart and that I will always love you!” says Johnny. “Johnny, the love I feel for you is endless,“ replies Ricardo after a pause. Johnny is from Arizona. He is a convert Muslim. Ricardo is from Mexico City, and a convert Buddhist. 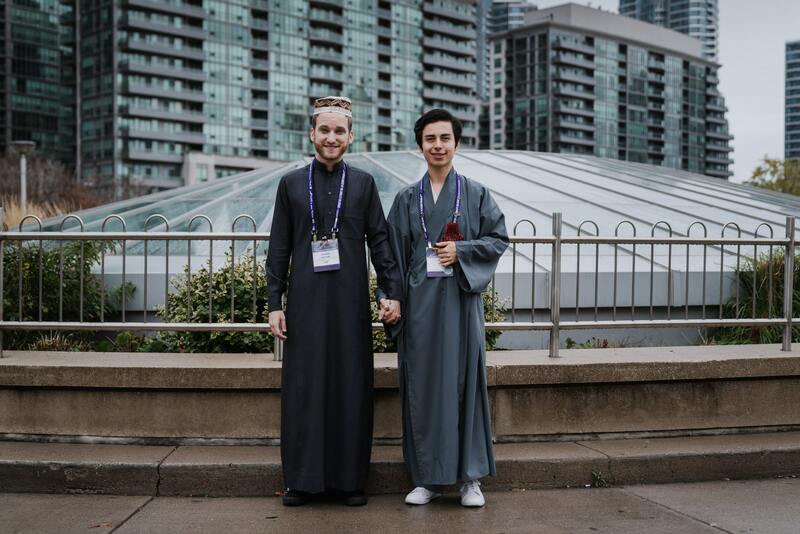 They first met a year ago at an Interfaith convention in Edmonton and then at the 2018 Parliament of World’s Religions in Toronto during the first week of November. They quickly realised that they were meant for each other and decided to engage during the parliament session. Their engagement ceremony took place in one of the rooms at the convention centre where the couple exchanged meaningful gifts with each other. At the ceremony, Rev. Cherag Mumtaz Kammerer, an ordained minister of the Universal Worship, offered blessings to the couple. “Promise of inclusion, the power of love” is the main theme of this year’s parliament. 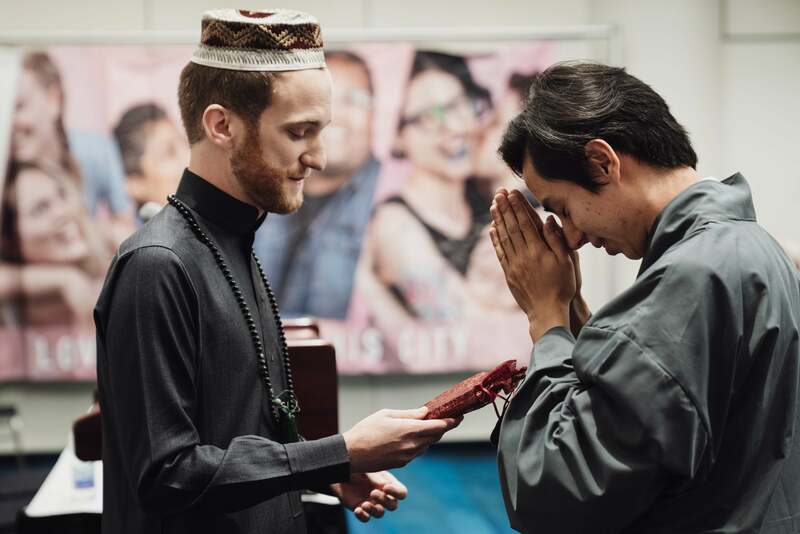 This is the first Parliament of World’s Religion to include content for the LGBTQ community and to provide a room and service for this community. She highlighted the issues the LGBT community faces around the world. Next Post On My Previous Post!